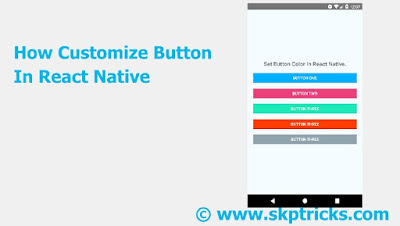 Lets use the below source that helps to set width and height of button. Here you need to specify the button width and height parameter in view layout. 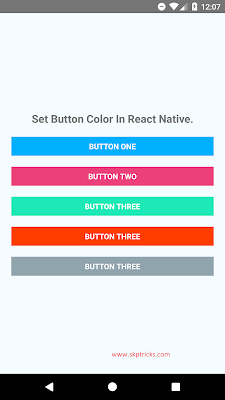 we need to specificity the color attribute and their corresponding color in button tag, In order to set the button color in react native application. 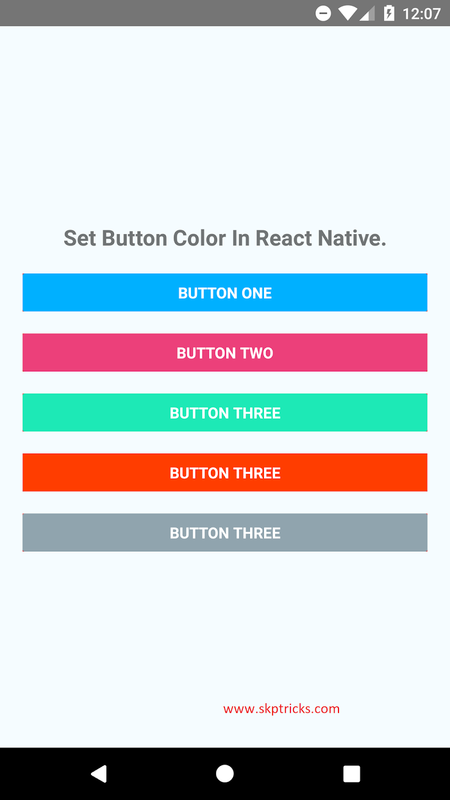 Specify the button width and height in view layout instead of button. 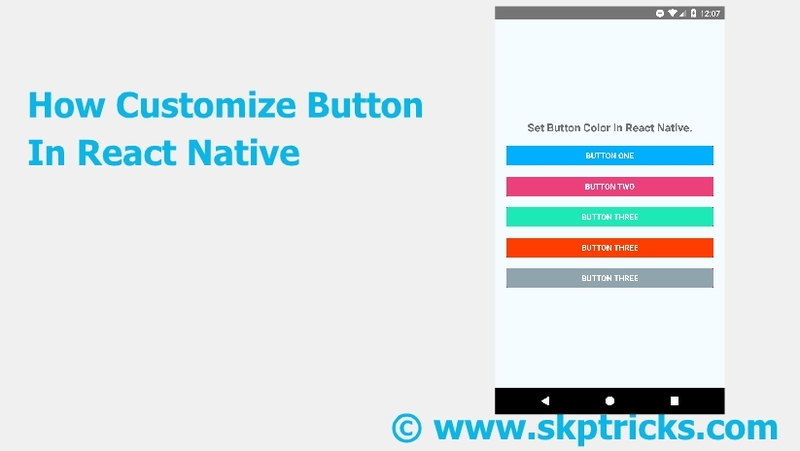 Mention the color attribute in button component, that helps to set the button color.